As an eCommerce merchant, you have a very good reason to learn the ins and outs of eBay beyond the basics. Expanding your business into eBay sales can be a very interesting prospect. In fact, selling on eBay can give a huge boost to your business, but just like anything else, there are both pros and cons involved. One of the greatest benefits of eBay is the sheer number of people you can have looking at your products — in the third quarter of 2017, eBay reached a total of 168 million active users. Frequent eBay shoppers start their search for needed products on eBay, and the presence of your product listings will expose your merchandise to these interested searchers. When you make a sale on eBay, it's a great opportunity to inform your buyer about your online store. With the proper strategies, you can entice them to visit and buy from you directly, earning a repeat customer. You can buy and sell all kinds of products and services on eBay (minus restricted or illegal items, of course). No matter what your niche, there's an audience on eBay waiting for you. Books, electronics, clothing, handmade items, auto parts… the list goes on and on. On eBay, you're operating under a set of enforced rules, and you don't have nearly as much control over certain aspects of business, like your return policy. You'll need to operate within the specific systems that eBay has set up to handle certain things, like returns, refunds, customer service, and more. Basically, you're playing in their backyard, so their rules are your rules. But do remember that these rules are put in place not only to protect eBay itself, but also to protect sellers and buyers. The best thing to do is make sure you're well aware of all the rules, terms, and conditions, and decide how to run your business as close to your ideals as you can while still abiding by them. Fees are one of the main caveats that discourage eCommerce sellers from expanding to eBay. If your profit margins are very low, you might not benefit from selling certain products — especially when there's lots of competition for that specific item. It's important to know ahead of time what fees you'll incur for selling on eBay, but thankfully there's a clear structure laid out on eBay's help site and even a fee calculator. Remember that eBay has millions of active users, and with so many sellers you're likely to face stiff competition when selling popular products. You'll need to evaluate as to whether you can beat their prices or otherwise offer a better deal than your competitors. It's always a good idea to research your opposition before you decide to list heavily-saturated products. You may decide to avoid listing certain items at all, or instead to form a strategy that makes you stand out from the crowd of other sellers. Selling on more than one marketplace can be a pain if you're not prepared to keep track of your inventory. If you sell 9 items through your online store, 3 on eBay, 5 on another marketplace, etc., you need to centralize these numbers to make sure you don't sell more than you actually have. This leads to angry customers and a poor experience for everyone involved. Fortunately, 3dcart's eBay integration keeps your inventory synchronized between your online store and your eBay account, so your eBay sales are automatically reflected in your numbers. In fact, the 3dcart/eBay integration is packed with convenient features to help you sell more on eBay. 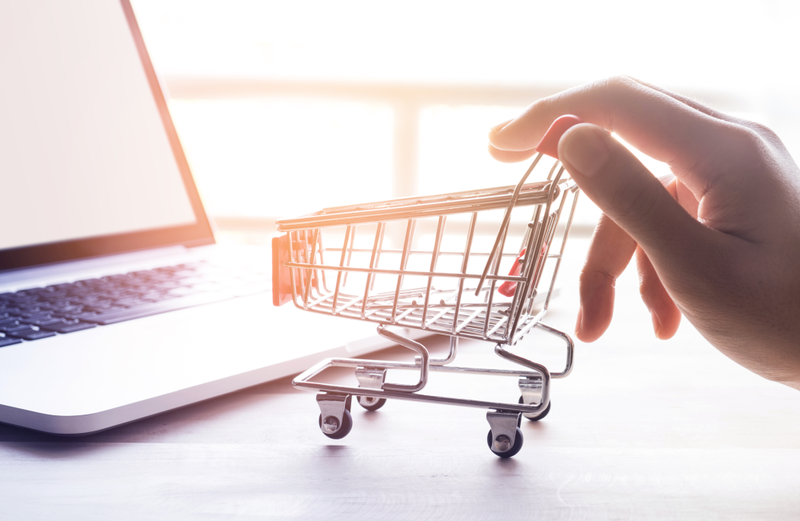 For most online retailers, the pros of selling on eBay outweigh the cons, and it's definitely worth your consideration to do so. To learn more about the benefits of eBay to retailers, and for a more in-depth look at converting your eBay buyers into long-term customers, check out our free ebook below.